The claim that it’s no longer possible to create anything original in the automotive industry is challenged by the new Peugeot 1007, a magical box that anyone can make his or her own. 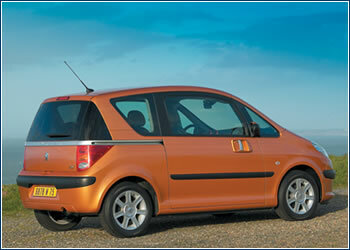 THE PROPORTIONS OF the Peugeot 1007 give the impression right off that it doesn’t intend to be average. Just 3.73 meters long but 1.61 meters tall, this car with an MPV-style body has a surprisingly spacious interior that can also be adapted to various situations. Electric sliding doors on both sides are 1.37 meters long and 1.27 meters tall, and they require only minimal lateral space, which is great for narrow parking spaces in town. 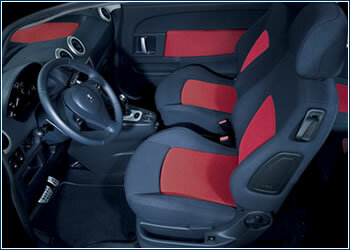 The car has four independent seats, so the front and rear seats can be moved forward and backward. Depending on the adjustment of the rear seats the luggage space can be either 178 or 364 liters, and folding them down gives you up to 1.1 m3 for freight. Additionally, the front passenger seat can be folded forward to a horizontal position, so the driver has a practical table right nearby. The Peugeot 1007 is being launched on the Czech market with three degrees of equipment. The basic Urban version, with a 1.4-l, 73 hp (54 kW) gasoline engine and a manual five-speed transmission costs CZK 379,000, and with a 1.4-l HDi, 68 hp (50 kW) turbodiesel it sells for CZK 419,000 and burns but a noteworthy 4.4 liters of fuel per 100 km. The more expensive Trendy model comes with these engines as well as a four-cylinder, 1.6-l, 110 hp (80 kW) gasoline engine in combination with the five-speed 2-Tronic automatic transmission, which can also be ordered for the 1.4-l engine. The top-of-the-line Sporty model comes with only the 1.6-l engine and sells for a base price of CZK 505,000 and an additional CZK 199,500 with all the available options. The most expensive options are a navigation and communication system that is sold with a JBL audio system for CZK 77,000, an electric sunroof for CZK 26,000, and an ESP stabilization system for CZK 24,000.